Look at me all early with yet another calendar. Whoo hoo! Hehehe...I'm still using the lovely goodies from Throwing Some Scraps Around. Continue reading to find out more about this lovely kit, see a new kit from TSSA and check out our round up of free printables for Halloween. They might come in handy in the next few days. Jodi is such a doll for providing us with all of this year's free calendars. 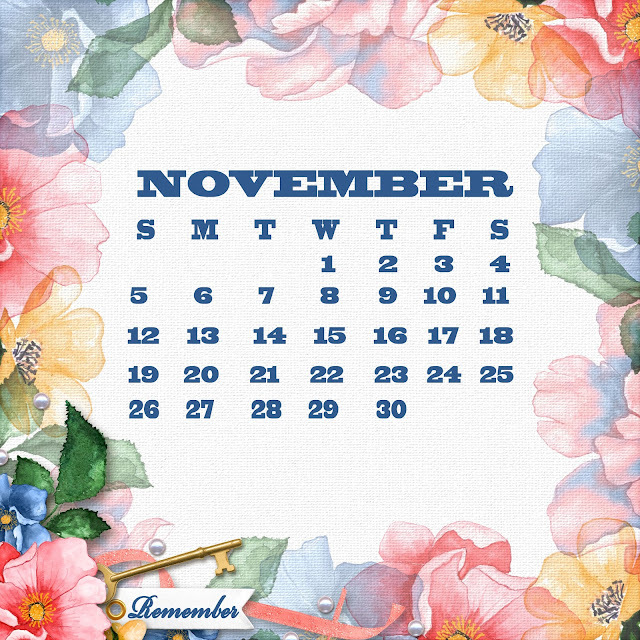 I will have calendars again for next year and all with a nifty twist and super, free mini scrapbooking kits for newsletter subscribers. Make sure you are following us everywhere so you don't miss out on our spoiling of the fans. Hehehe...You will only get one chance to grab our free mini's and then they are going into the shop. Sign up on the blog or on our Facebook Page. This kit is called Celebrate Our Love. You can find it in Jodi's shop along with a lot of other gorgeous goodies. Halloween is just around the corner. Our village has decided to have our festivities an entire week ahead of time. I'm not thrilled with it. That means we already had it. 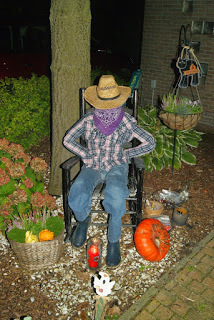 I didn't bother dressing, up standing outside giving candy like I usually do. Last year so many people wanted to use our bathroom and breast feed their babies in our home. I was not pleased at all. This year, they were even knocking on the door at 10:30 pm! Hello! Not a lot of encouragement to keep participating, that's for sure. I did put out some fall decor in the yard and I decorated my window again. Here's a photo. This year I didn't put nearly as much work into it, but it looks ok and people even took pictures. 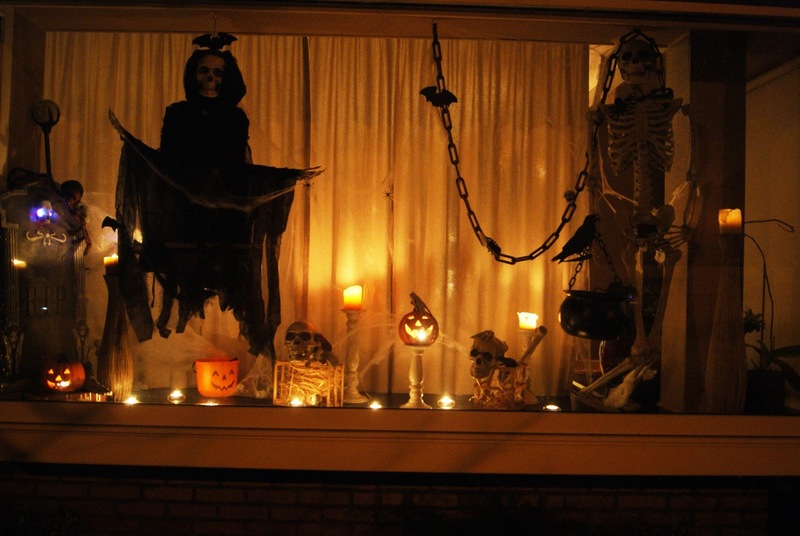 Here are other windows and home decor I used in other years. 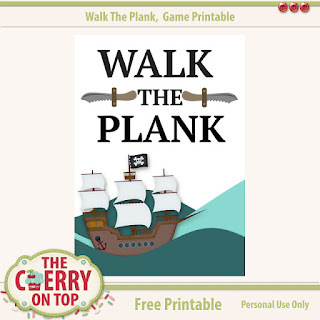 This one is fairly similar to this years, but had a pirate theme. 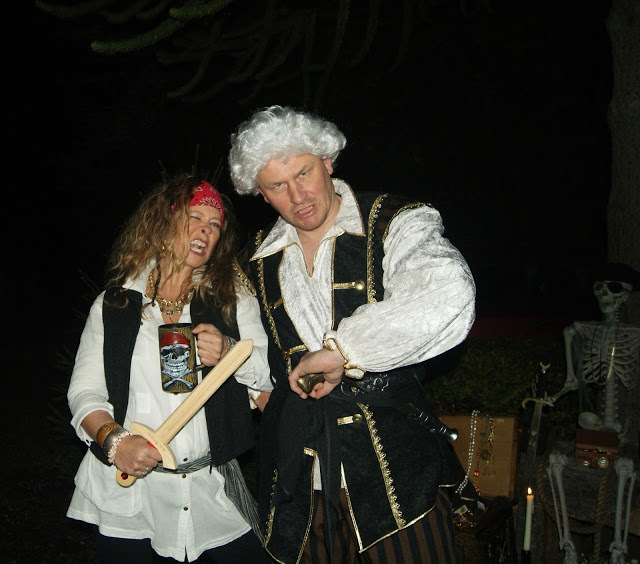 One of the scenes from last year's pirate theme. My hubs went all out and bought a costume. I just put on a long sleeve white shirt, black vest, a lot of jewellery and a bandana. I loved my first window I did. Just painted some cardboard I drew on and cut out. Easy, but a bit of work. Just stuff some old clothes with newspaper and or plastic bags. I did a Boo your neighbour pack that is still live. Check out the full tutorial and grab the download. 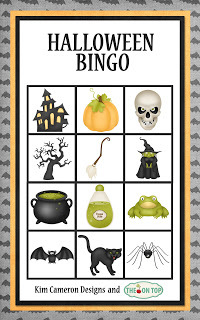 Head over to this blog for this free set of Bingo cards. They are not your typical cards. They are for smaller kids who don't get the whole diagonal thing. My boys with Autism, at the time didn't understand diagonal so they couldn't play the standard bingo and would get very frustrated. This is meant to go in just straight lines. 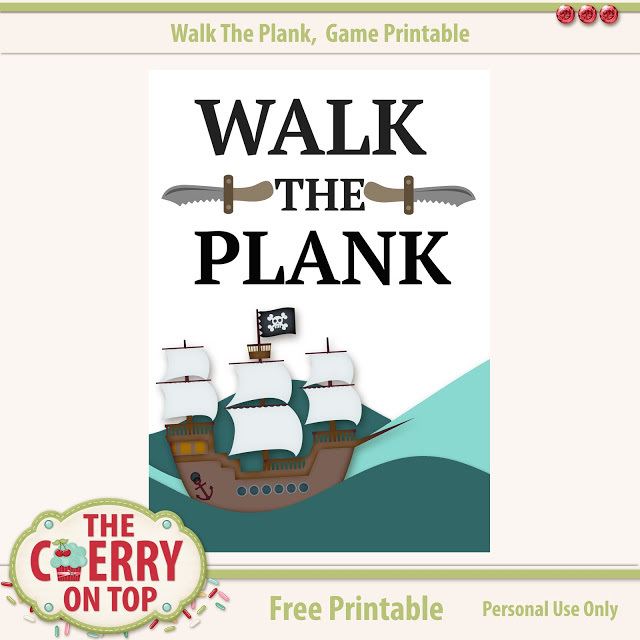 If you are planning a pirate party, this free printable might come of use. Just grab a rigid board and prop it up on some cinder blocks and you've got a walk the plank game ready. Click here to get the link. Click here if you'd like to see more fall decor ideas. 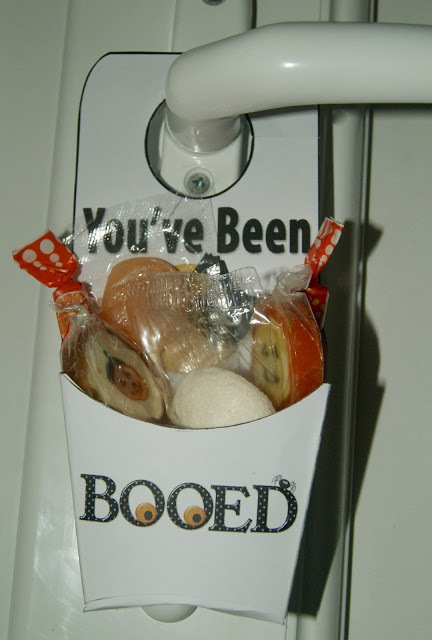 Free tutorial and free download for these fun treat bags. So, there ya go! Make it a good one this year. If you are still needing some nifty products for Fall or Halloween check out CreateForLess. I found these awesome goodies there amongst tons of other great deals. Pop over and see if there is something for you. I also some great mini pumpkins! We have a super, free quick page from yesterday if ya missed that one. 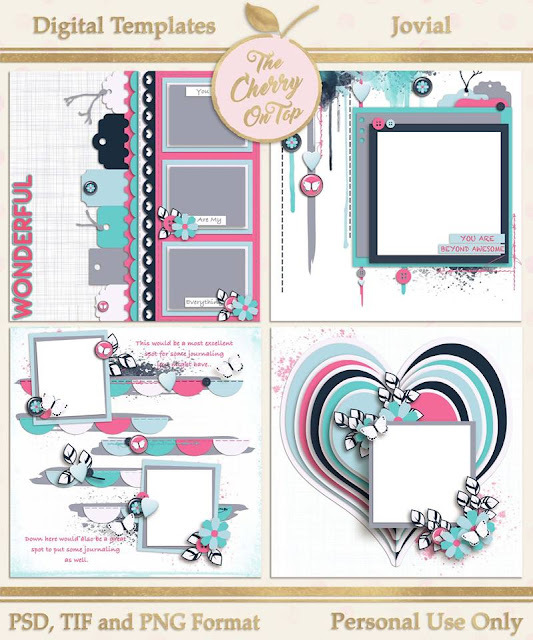 On Tuesday, we showed off our last page insert for our simple, traditional scrapbooking mini. See it here. Thank you for stopping by The Cherry!